Demonstrate how two identically sized cans absorb and radiate energy differently. One of the screw cap cans is smooth metal and the other is painted dull black. Water cools or heats at different rates because of the thermal radiation emitted by the two cans. 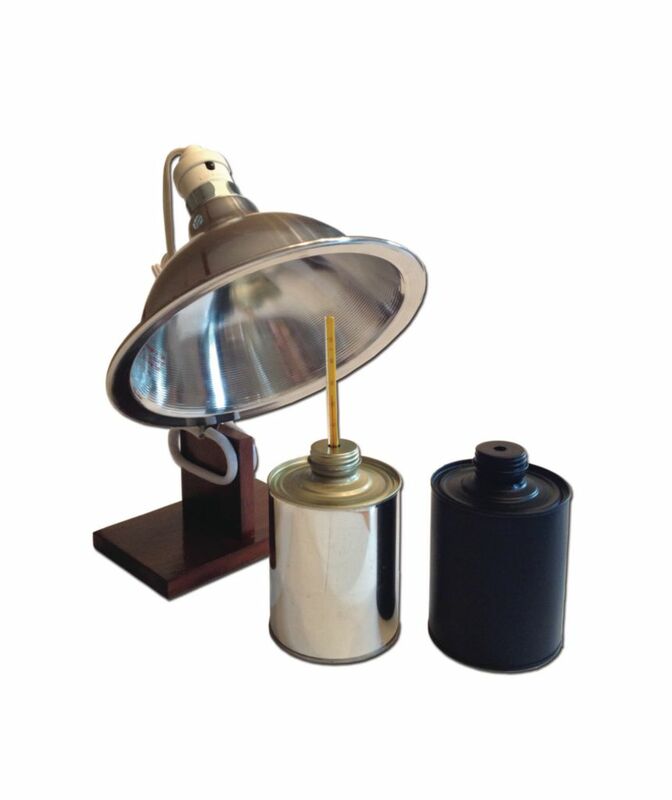 Kit contains a lamp assembly with reflector and stand (bulb not included), one smooth metal can, one black metal can, and thermometer.